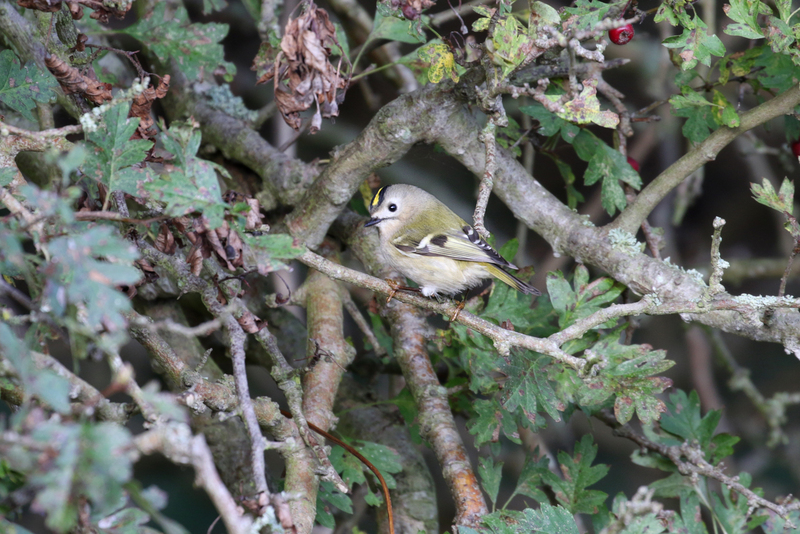 Reasonable numbers of Goldcrest were dotted around with 64 in the Bockhill area and a further 20 in Oldstairs. 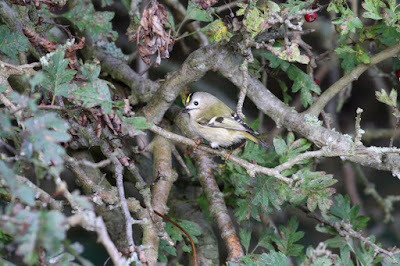 Three Firecrests were around the Paddock along with two at Oldstairs and five seen by Richard while walking the dog in Kingsdown. 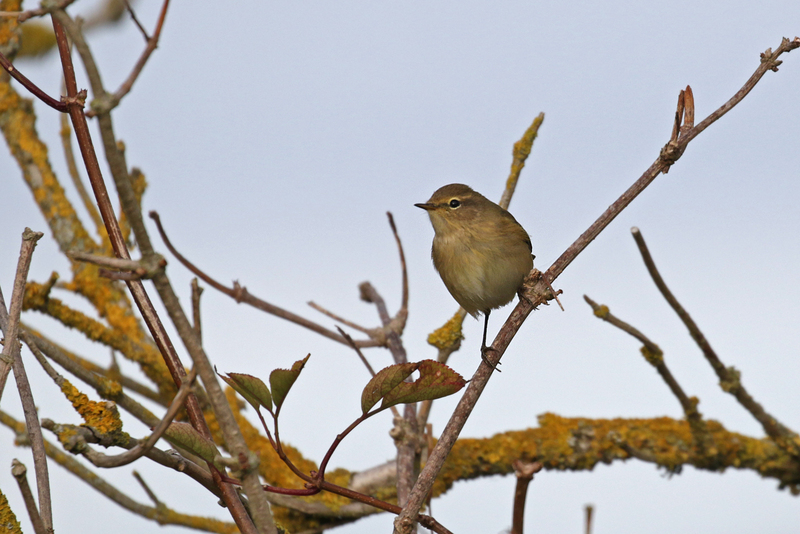 Chiffchaffs were seen at Oldstairs and the Gun Emplacement. 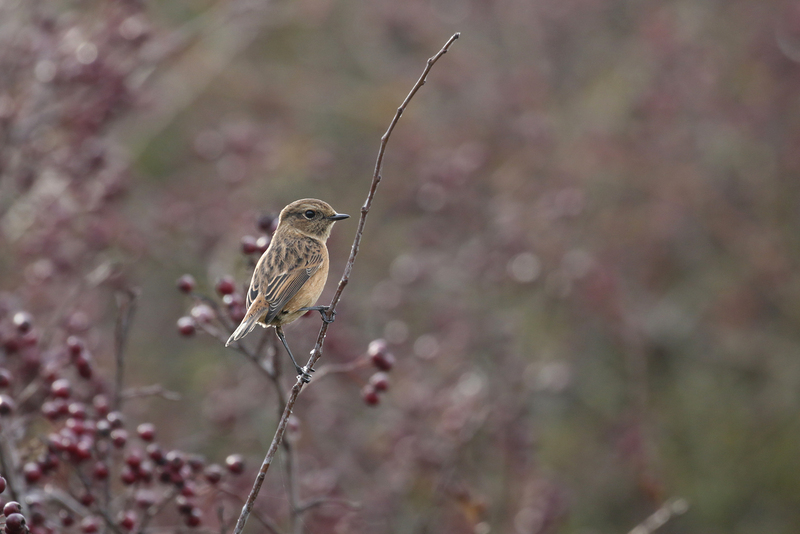 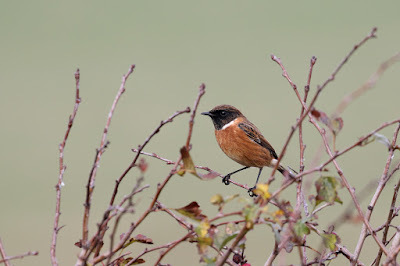 A Jack Snipe was flushed from the clifftop, were there was a pair of stonechats. Overhead there were at last 17 Crossbills, 250 Starlings, a Brambliing and a few Redpolls. 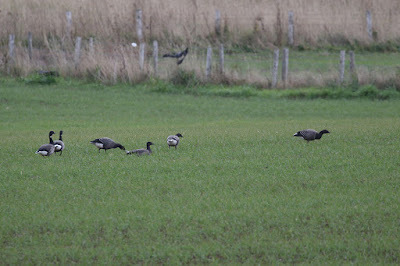 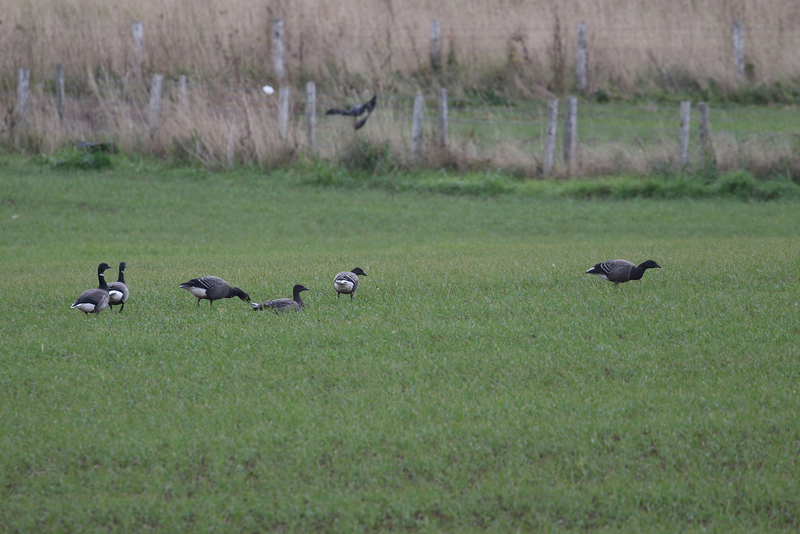 The family party of Brents remain in the field at Hope Point.